The Beerdrinker of the Year competition is back! It took two years to recover from Marty Jones’ departure for the Wynkoop to regroup and rebrand, but the event is thankfully back on track. The format of the finals is largely the same, and so are the prizes; national recognition and bragging rights, a beer brewed in the winner’s honor, and free beer for life at Denver’s oldest brewpub - the Wynkoop. Right before the GABF kickoff in September, the Wynkoop hosted a nice welcome back party for previous BDOY winners. Beer legends Warren Monteiro (2013), J. Wilson (2012), Phil Farrell (2011), Tom Ciccateri (2005), Ray McCoy (2003), Gary Steinel (2002), and Cornelia Corey (2001) were in attendance. (Yes, I made it too...) It was a great reunion with plenty of Koop-GABF speciality beers on tap, as well as some friendly beer-related challenges to pit the former winners against each other. Now the question is, are you ready to throw your hat in the ring for the 2016 title? The prizes will be the same as years past, but there is a new twist to the application process. In addition to a written essay (“beer resume”) free-beer-for-life-seekers can also submit a two-minute video application. Either option will suffice. There are samples on the web site if you want to see how the video works. The Finals will be held on Saturday, April 2nd at the Wynkoop Brewery. This is where the three finalists will be flown to Denver and a new winner will be crowned. If you love beer, and I know you do, I encourage you to give it a shot! I did and it has served me well. To apply visit http://wynkoopbdoy.com. If you want help or have any questions do not hesitate to contact me. DENVER — Oct. 16, 2015 — Wynkoop Brewing Co. has the craft beer community buzzing over its announcement that the Beer Drinker of the Year competition is returning in 2016. After taking a break for the last two years, the popular national contest is back and better than ever. 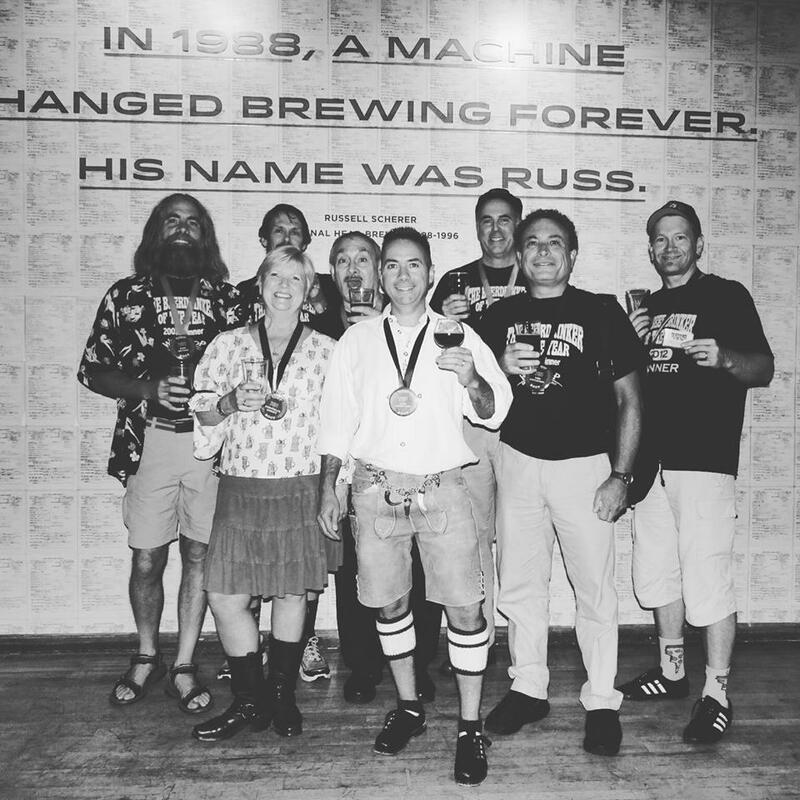 The Beer Drinker of the Year is not only someone who enjoys, appreciates (and drinks) beer, but knows a great deal about beer, how it's made, its legend and lore and can demonstrate the range and depth of their beeriness. So let the search for America’s most passionate beer drinker begin. Beer fanatics have until midnight on January 31, 2016 to enter their submissions to vie for prizes like free beer for life at Wynkoop Brewing Co., the chance to work with Wynkoop’s head brewer to have their beer recipe brewed at Colorado’s oldest brewpub, and the serious bragging rights that accompany the “Beer Drinker of the Year 2016” title. To enter the contest, beer enthusiasts are asked to upload a two-minute video (or written essay/beer-resume) describing why they should be crowned the Beer Drinker of the Year. Videos will be judged based on entrants’ creativity, expressed knowledge of craft beer history, and demonstration of how they live and breathe beer culture. Applicants shouldn’t wait until the last minute to enter their submissions, though. Video votes will count toward the review and consideration of this year’s submissions, so entrants are encouraged to share their videos on social media using hashtag #BDOY2016 to gain votes. The video submissions and public voting are a departure from prior years’ written entry contest format. The competition, which started in 1997 and took a break between 2013-2015 for a rebrand, has experienced growing national recognition as one of the country’s top beer competitions. The Beer Drinker of the Year 2016 contest is open to U.S. residents ages 21 and older who are available to fly to Denver for the National Finals Feb. 26-28, 2016. Travel expenses will be paid for the top three finalists, who will be announced by the Wynkoop Brewing Co. judging panel by Feb. 1, 2016. The 2016 Beer Drinker of the Year will be crowned at the National Finals event on Feb. 27, 2016, which will be open to the public to attend. Visit www.wynkoopbdoy.com for more information or to submit an entry. Wynkoop is Colorado’s O.G. Brewpub, home to tastemakers and rulebreakers, bushwhackers and envelope pushers. For almost three decades we’ve been brewing handcrafted beer in our modest basement brewery underneath Denver’s largest pool hall. Over the years our neighborhood has transformed and Colorado’s craft beer industry has exploded. And Wynkoop is still here, serving cold beer to warm friends. I wanted to fill you in on the BDOTY event that has been on hiatus since the 2013 National Finals. We'll I have good news, it is coming back! See the message below that I sent to friends on an email list I run. Yesterday I met with Lee Driscoll (Wynkoop-Breckenridge CEO), their Director of Corporate Events, the Koop GM, the Head Brewer, and two of their beer sales directors. We met to discuss the Beerdrinker of the Year event, which is going to come back. Here is the tentative plan. As you know there has been quite a bit of investment over the past year. (bathrooms, etc.) The Koop has also purchased the former Comedy Works space. They are turning that room into a barrel aging storage area and private tasting room. The plan is to have that room open in time for the GABF. 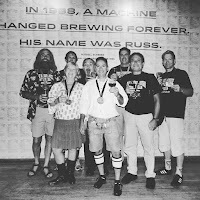 The plan is to have a "former BDOTY winner reception" on the Wednesday night of GABF weekend in conjunction with a grand opening of that barrel room. This event will re-launch the Beerdrinker of the Year event. There will be PR, buzz generation, etc. It will also kick off the calling for BDOTY resumes. Then the BDOTY National Finals event will be back on track for 2016. Tentatively scheduled for the Saturday after Presidents' Day next year - February 20th 2016. So things can change, and nothing is done until it is done, but this is great news. And as the event dates approach I would appreciate your help in promoting these event. (You've always been great at that in the past - thanks!) That will help in maintaining a long term commitment for cool events like this one! See you tomorrow night at the Koop!